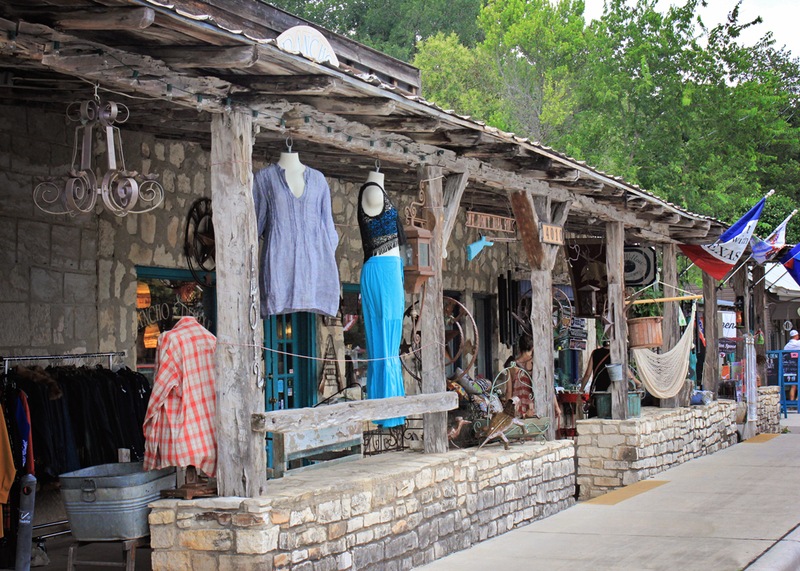 The Texas Hill Country is unique and special, and the Wimberley Valley is nestled right in the heart of it all. Located in the central flyway for migrating birds and sitting atop the Edwards Plateau, where a huge variety of natural fauna can be found, it’s a perfect place for anyone who loves nature. This means Tarzan and Jane naturally…smile. 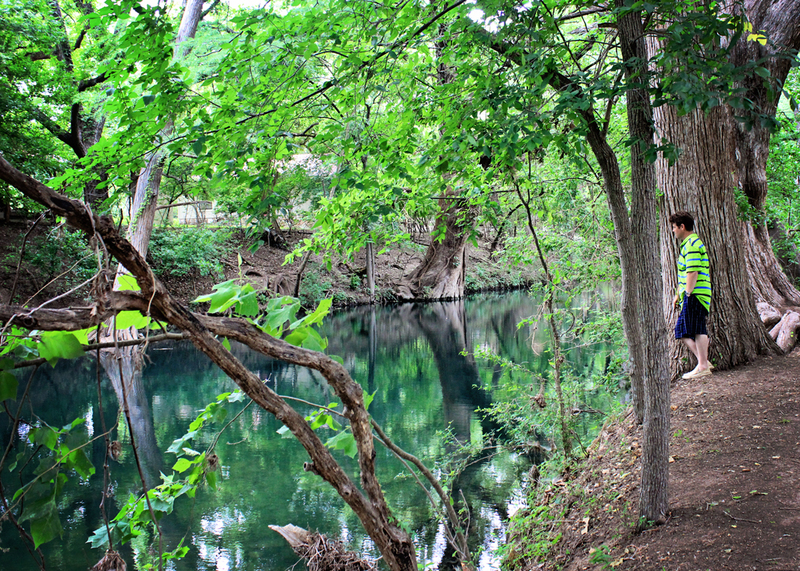 When we were done visiting Jacob’s Well, (if you missed this post click here.) 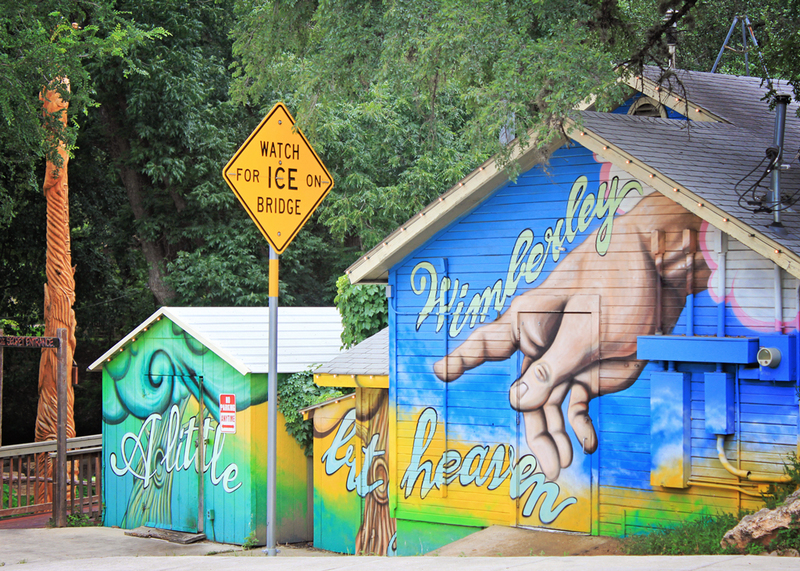 We headed to the heart of Wimberely Valley…the historic downtown. This is the first sight you will see as you drive into the village. I said to Tarzan,”This is wild, what is this?” I proceeded to jump out of the car, and asked Tarzan to find us a parking spot. Oh boy, I love hidden/secret passages! I sojourned on down the path and look what I found. 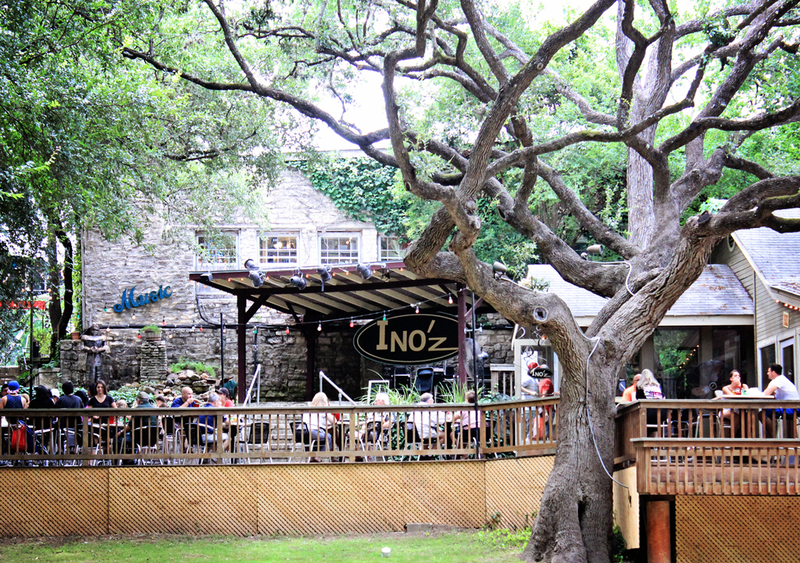 INO’z Brew & Chew Restaurant backyard patio deck…who knew? It looked like a very cool place for a drinks,music and some people watching. The patio was shaded and sits on the Cypress Creek. Live Oak trees cover the whole lawn…what a treat in this heat. I run back to find Tarzan and to tell him about my great find. We returned and had a marvelous time having lunch and having a cocktail to celebrate Tarzan’s birthday. The service was good and they even have Bocce Ball sets for the competitive at heart. They are also a pet-friendly facility, allowing pets on leashes on the outside deck…big woo hoo. After our lunch we strolled through the backyard of INO’z and just took in the beautiful peaceful site of the Cypress Creek. Can you tell Tarzan is in his element? He loves loves nature and when he can get around water…well double the smile. We now had fuel in our tank and was ready to take on the village and see all the quaint stores. 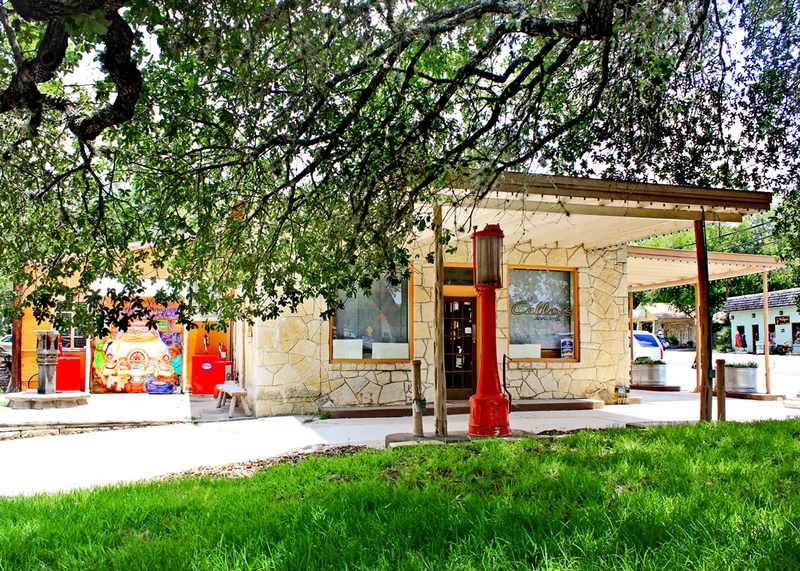 Here we have a old fashion gas station, that has been converted into a jewelry store named Calley’s! 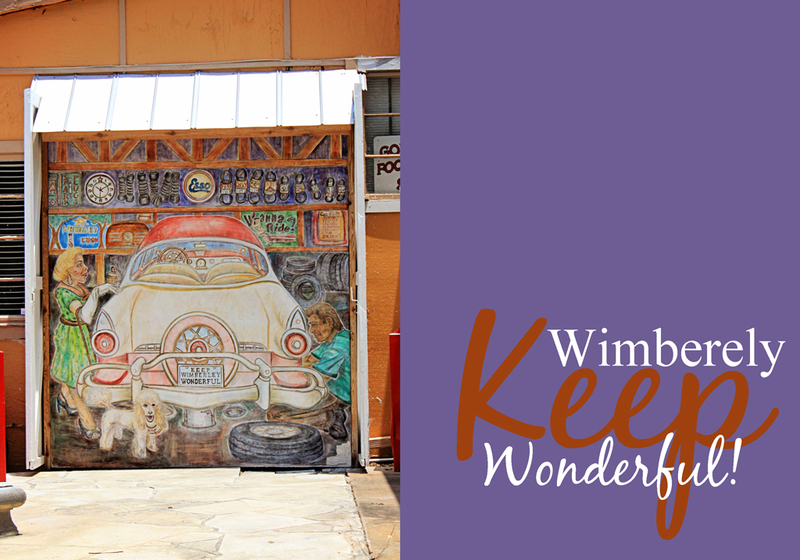 I wanted to take a close up of the painted mural that is on the garage door…precious isn’t it? Can you see what it says on the license plate? Have you had a chance to get lost lately? It really looks like a cool place to call home or stay for a wee visit. That who building moral is really expressive too, I like the colours. That look s so great , well worth a visit! What great photos Laurie. I do like the one of Tarzan by the creek, it’s fantastic. That looks like such a fun town to go and stroll. Lovely place to spend the day. Getting lost makes for some nice surprises ! Have a great weekend ahead Laurie . I would love to get lost in a place like that! Looks absolutely ideal! Man, you could probably make a fortune teaching people to take pictures like that… Just gorgeous!! Great pixs! Looks like a lot of fun. It looks like there is so much to explore here. Happy day to you, Laurie! What a fun and funky place to visit! 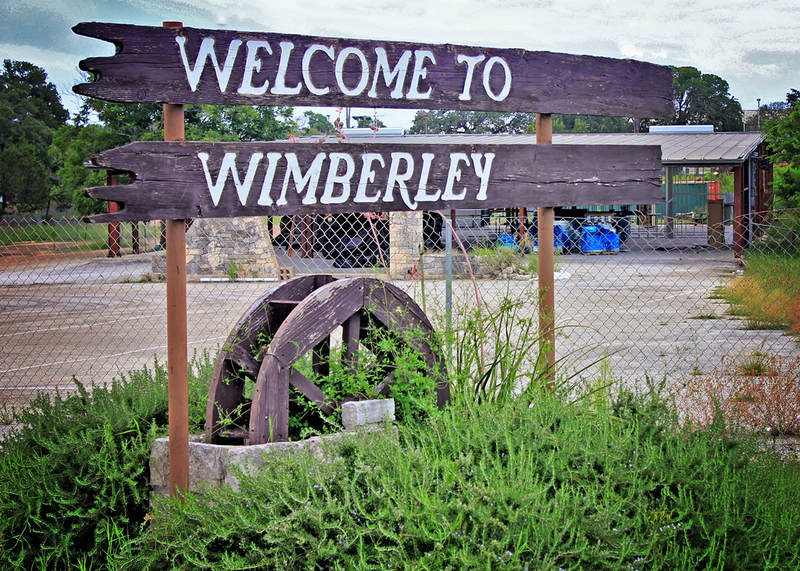 You really gave us a feel for what Wimberly is like. 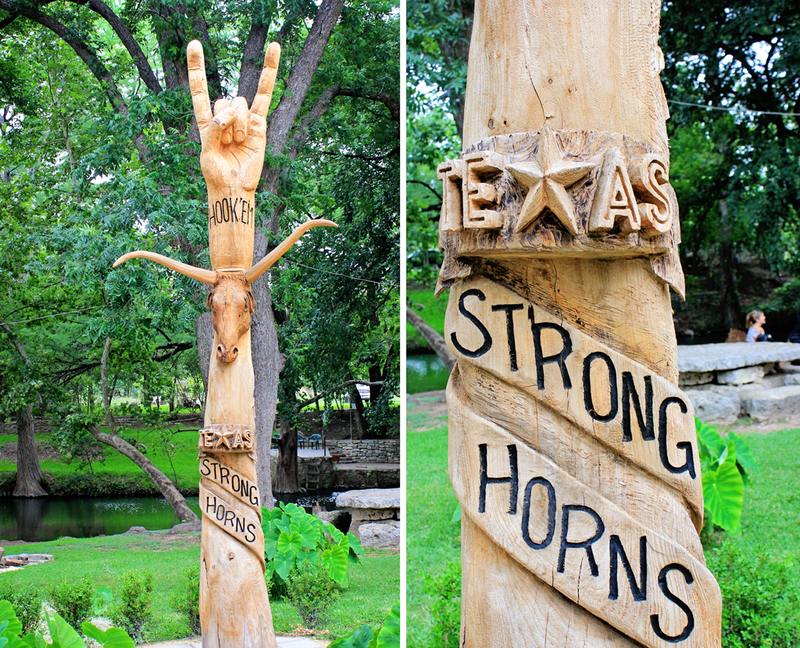 Love all the art work – murals, carvings, decorations. 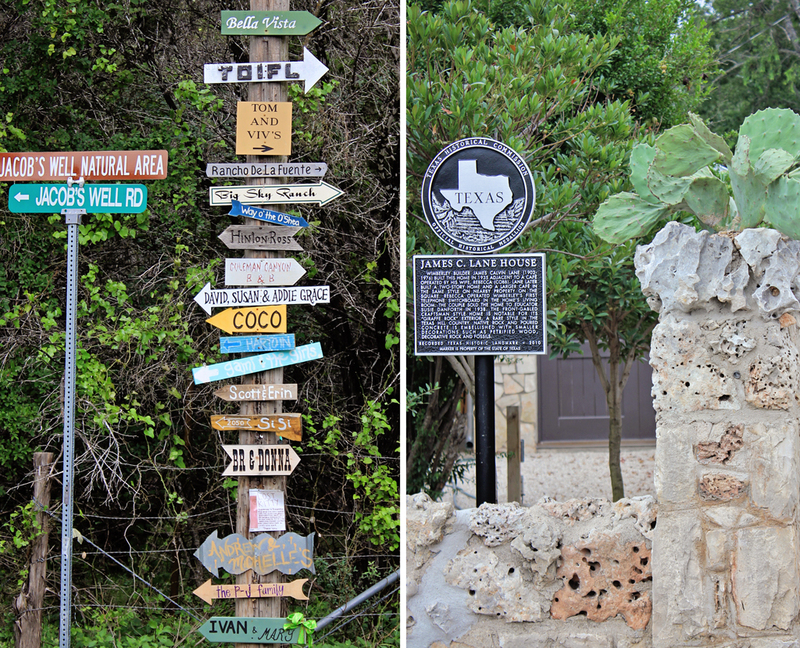 I hope they go on keeping Wimberley wonderful for a long time, Laurie. Happy days, hon! P.S- when is your Paris trip? It looks beautiful; almost like an Alpine village. And, yes, getting wonderfully lost is a great idea. WHat an amazing place! I really like that mural. Wow what a wonderful location, you captured it well. Beautiful! I wouldn’t mind losing my map and getting lost there! This was terrific, I enjoyed it very much! What a wonderful journey you’ve taken us on! Nothing like getting lost! What a wonderfulplace to spend a weekend. Great photos, as always! The place looks interesting and fun to visit. The creek seems like the area to just get away or hide out. It looks cool and refreshing. What an awesome find! Looks like a little bit of everything for everyone! Great pix!